Fundraiser for Katie Dorr and Izzy Caudill. 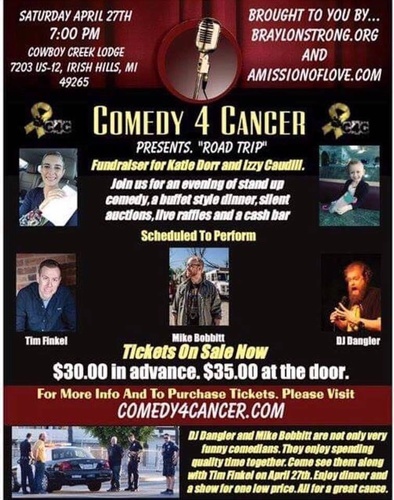 Stand up Comedy, a buffet style dinner, silent auctions, live auctions, and a cash bar. Tickets on sale now $30 in advance. $35 at the door.